It's hard watching Villanelle struggle. 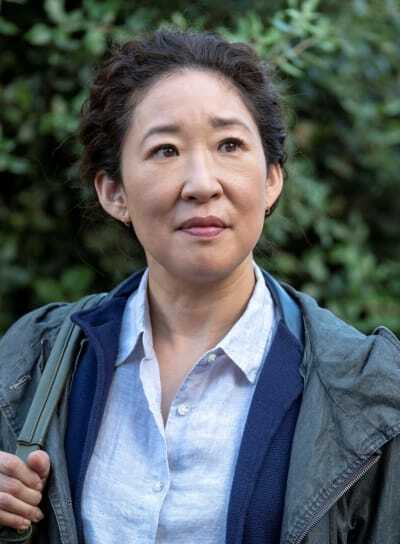 But on Killing Eve Season 2 Episode 2 Villanelle does struggle not only with her health but under the wing of a lunatic, to boot. We can top that off with word that someone is on assassin's assignment and stealing Villanelle's thunder. The Ghost is a new priority for MI6, but Eve's need to hunt Villanelle is thankfully met with Villanelle's cry for help. 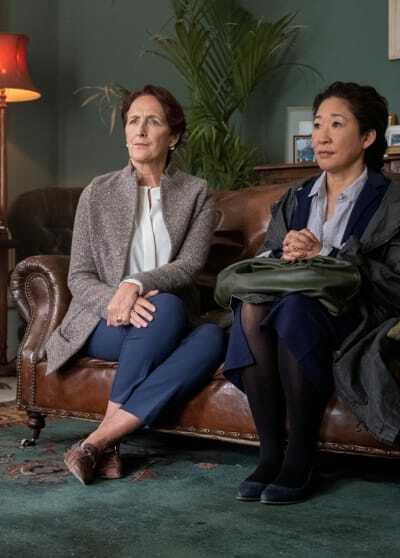 Even though Killing Eve Season 2 feels a lot different than Killing Eve Season 1 because the magic of getting to know someone is in the past, the longing of both Eve and Villanelle for each other is just as compelling. It might be even better. Eve continued her search for word on Villanelle's survival, and while she thinks it's because she didn't want to be a murderer, it runs a lot deeper than that. Even though Eve is still deeply infatuated with Villanelle, she hasn't allowed herself to think about what it means. From the outside looking in it is much more than an MI6 agent hoping to take down an assassin. As much as Villanelle has taken away from Eve, she's also given new life to Eve's career and put a spark in what was once just a normal existence. It was a nice touch on Villanelle's part to leave a message for Eve with Gabriel's body. What I didn't quite understand is why Eve had to look up "apple and Eve" on Bing to make the connection. Doesn't everybody know the story of Adam and Eve and the forbidden fruit even if they're not religious? It's a fantastic reference to make under the circumstances. Eve is Villanelle's forbidden fruit and vice versa. The temptation for both of them toward the other is overwhelming. Hugo: What makes you think that? Eve: The fact that you just interrupted me mid-sentence makes me think that. Permalink: The fact that you just interrupted me mid-sentence makes me think that. Finding another assassin stepping on Villanelle's toes both excites and frightens Eve. When Tess suggested there wasn't a need to focus on Villanelle any longer since she had no bearing on the current case, Eve couldn't even adequately defend her position that it was the wrong idea. 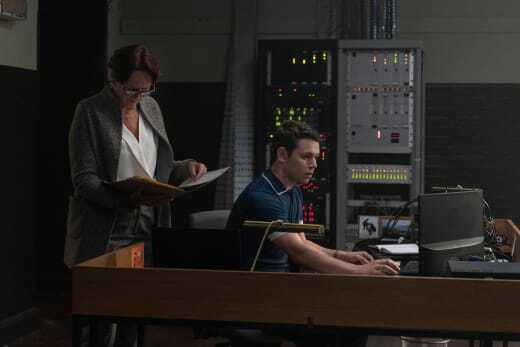 Thankfully, Kenny offered his assistance because Eve was very flustered at the thought investigating Villanelle would no longer be an option. Related: Killing Eve Review - Do You Know How to Dispose of a Body? By the same token, Eve knows she's in some kind of danger from Villanelle, but she doesn't know to what extent. Niko: What do you mean? Eve: You know, if you see anything strange. Be careful. Niko: What a touchingly reassuring goodbye. Permalink: What a touchingly reassuring goodbye. It's keeping her up at night thinking about it. But even if Villanelle weren't still on the radar of MI6, Eve would likely continue her pursuit anyway. There is something between them now that neither of them will be able to let go of anytime soon. From warning Niko to the discovery of the apple to the understated realization that she might need protection, any other person -- MI6 agent or not -- might give up the pursuit of their prey. 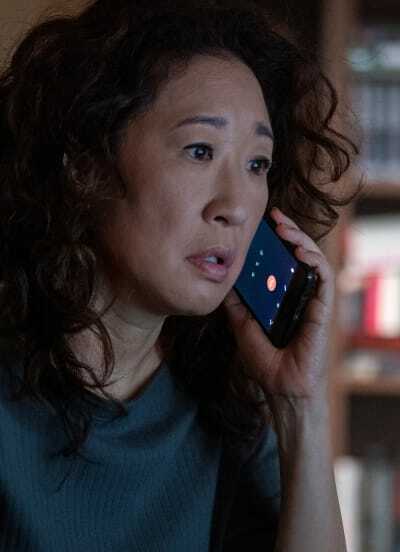 Similarly, the last person Villanelle should be contacting for help is Eve. She's an assassin and getting hunted by an MI6 agent, but her desire to be near Eve and an odd trust even after Villanelle got stabbed by Eve persists. I cannot think of another show that has so perfectly set up this type of scenario. Only traditional love stories have come close, but given their desires, that makes perfect sense. Carolyn: Stop it, Eve. I can feel your excitement. Don't get all giddy and start singing along to the radio in my car. Eve: I knew it! I knew it! A new girl. Carolyn: Perhaps, or perhaps she's so good she's been operating undetected for a while. Eve: Villanelle will be furious. HA! Permalink: Villanelle will be furious. HA! 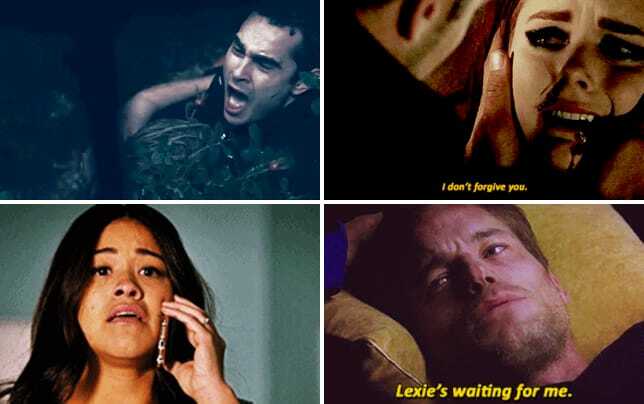 Even when they're not together, their thoughts are all-encompassing. Eve is even taunting Villanelle when there isn't a way to communicate with her. Did you catch the irony when Villanelle came face to face with Julian's demented mother? Villanelle: What's wrong with her? Villanelle: Thank God. I thought she was a ghost. I hate ghosts. Permalink: Thank God. I thought she was a ghost. I hate ghosts. The meeting was incredibly funny, but it also circled right back to someone new in Eve's life. Villanelle really has no idea how much she hates ghosts. There are so many questions about The Ghost. Who is handling her? Are she and Villanelle acquainted? If Tess thought there was no reason to keep an eye on Villanelle, Villanelle will probably make The Ghost a target and nullify that thought. The odds aren't great for The Ghost. When Villanelle gets wind there is competition for Eve's heart she will make short order of the other woman on the scene. MI6 also knows that Villanelle is alive, and they no doubt think she was calling Eve for some purpose other than to drop everything and save her from Julian. Only Villanelle could have picked a guy like Julian from the grocery store, but she did try to get help from a woman, first. Villanelle is so out of her element when she's not beautiful. She's used to getting treated very well by everyone (before they know who she is, of course), and she looked very out of sorts when someone thought she was a homeless beggar. Stopping by the makeup counter to attend to her face was a marvelous touch. That she wound up wearing an old lady's nightgown and begging for help from Julian added more pressure to the usually confident and stylish killer. Antiseptic, aspirin, ibuprofen; someone's a bit of a hypochondriac. Permalink: Antiseptic, aspirin, ibuprofen; someone's a bit of a hypochondriac. It's hard to tell if Villanelle has put together the turn of events in her circumstances with her obsession for Eve, but if she had made the connection, she might not be as keen to continue her flirtation with Eve. Villanelle's situation only got more screwed up when she met her new handler. Konstantin was a sweetheart as he treated Villanelle like a daughter. That's not going to be the case with Raymond. With her ailing health and encounters with Eve and Julian only slightly in her rearview mirror, Villanelle cannot stand up for herself as we've seen her do in the past. Now that we know Konstantin is alive, part of me wishes that together with Carolyn and Eve, they would rescue Villanelle who would then join their team to hunt for assassins so she could use all of her expertise to do it. That would utterly destroy the premise of the show, so I don't really want that to happen, but when I cried that Villanelle was in a chokehold by her new handler with Eve so close to the rescue point, I have to let other scenarios play out in my head! How do you feel about the attraction between Eve and Villanelle? What would have happened if Villanelle had managed to get through to Eve at MI6? What would have happened if Eve had gone to Villanelle's aid before everyone else got involved? These things are fun to imagine, but keeping up the hunt and watching the beautiful dance between Villanelle and Eve is much more exciting. If you are behind on the show, you can watch Killing Eve online. You absolutely must! Now hit the comments and share your thoughts on "Nice and Neat." Julian: Would you like a hotty botty? Julian: A hot water bottle. Villanelle: Oh, I don't think so. Permalink: Would you like a hotty botty?